Last week I had the opportunity to meet with 5th grade teachers at their team meeting. They asked if I could come into their classes and do lessons on bullying. Of course I was thrilled to do classroom lessons with 5th graders! I planned with the teachers to come in for a series of lessons with 5th grade during their morning meeting time. I am making a schedule so that I will facilitate two lessons in each classroom and then start at the first class again for more sessions. I am working on planning the lessons so they will go in a progression. In my continued attempt to avoid "Random Acts of Guidance," I decided that this would be a perfect opportunity to create a classroom lesson planner for bullying. 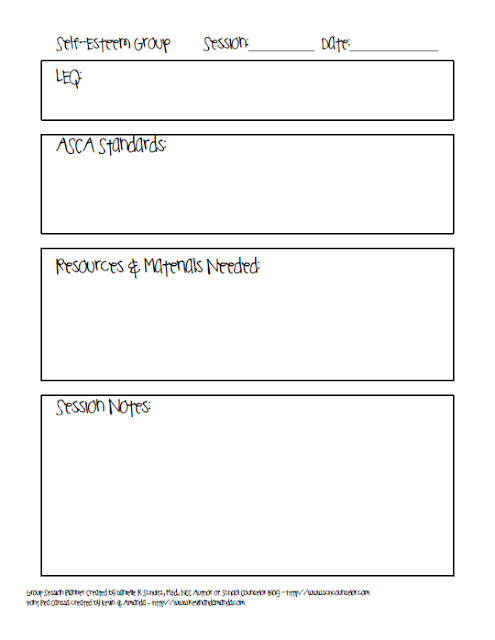 I created the classroom lesson planner to help me keep track of what lessons I plan to facilitate and how they align to ASCA standards. 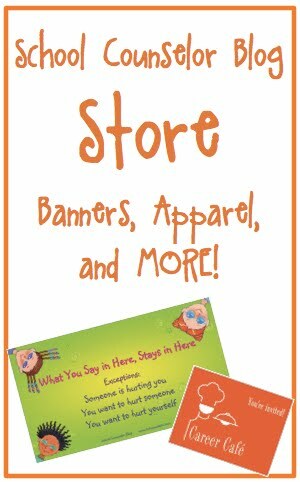 The first classroom lesson planner I created is a Bullying Classroom Lesson Planner. I created a PDF file of the Bullying Classroom Lesson Planner you can download by clicking on the highlighted text or by clicking on the pictures! 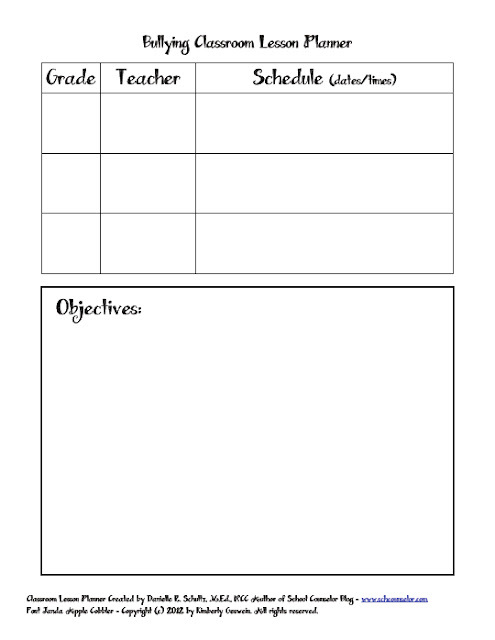 The first page of the Bullying Classroom Lesson Planner includes a section to record the grade, teacher, and schedule for when you plan to facilitate the lessons. There is also a space to write about the objectives for the lessons. In this section you can also record any information that will help you plan or select lessons you will facilitate. The second page of the Bullying Classroom Lesson Planner has space for you to record the Lesson Number and the date at the top. There are four boxes to include information. The first box, LEQ is the Learning Essential Question, or the question you want students to be able to answer at the end of the lesson. 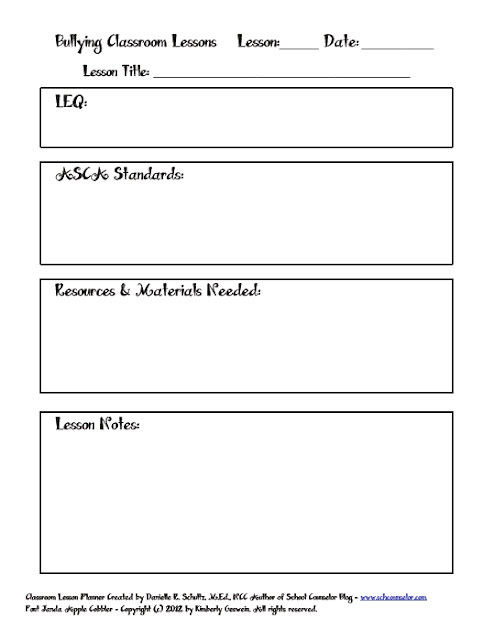 The second box is a space to record the ASCA standards you are addressing in the lesson. The third box is for resources or materials you may need for the lesson. The fourth box is a space for any notes you may have about the lesson and ideas for follow-up lessons. I am very excited to use the Bullying Classroom Lesson Planner to plan my bullying lessons! I love that I will be able to look back to this planner to see what I did and what ASCA standards I met by facilitating the lessons! Feel free to print and share the Bullying Classroom Lesson Planner with other school counselors! Also check out the Self-Esteem Group Planner I shared in my previous post! 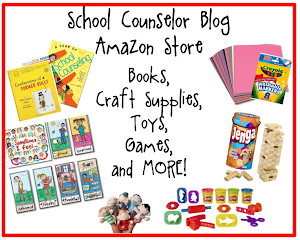 What other classroom lesson planners would you like me to create and share on School Counselor Blog? I decided to create ways to keep track of what I am doing how what I am doing aligns to ASCA standards. The first thing I have created is a group session planner to store and record group sessions I facilitate with students. My goal is to make a group session planner for each of the groups I facilitate. This will help me determine which ASCA standards I am addressing during each session. Using a group session planner will not only help me in the short term, but it will help me in the long term when I plan to facilitate the activity or lesson again! The first group planner I created is a Self-Esteem Group Planner. I created a PDF file of the Self-Esteem Group Planner you can download by clicking on the highlighted text or by clicking on the pictures! 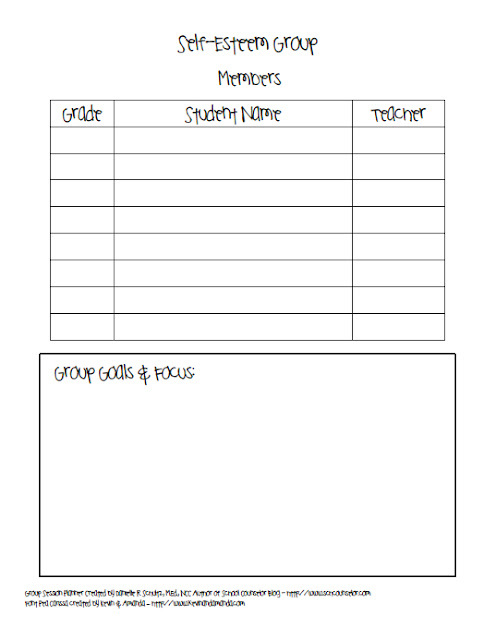 The first page of the Self-Esteem Group Planner includes a section to record the grade, name, and teacher of the group members. There is also a space to write about the group goals and the focus of the groups. You could also write any other notes you may have before beginning the group. The second page of the Self-Esteem Group Planner has space for you to record the Session Number and the date at the top. There are four boxes to include information. The first box, LEQ is the Learning Essential Question, or the question you want students to be able to answer at the end of the lesson/group. The second box is a space to record the ASCA standards you are addressing in the session. The third box is for resources or materials you may need for the session. The fourth box is a space for any session notes you may have. The Self-Esteem Group Planner has already begun to help me be more focused and purposeful. I hope it helps you as well! So far this year I have facilitated a self-esteem group for 5th grade girls and a self-esteem group for 5th grade boys. I wish I would have created this at the beginning of the group so that I would have a finished one! I will be sharing some of the group sessions I already recorded with you, but my planner is at school right now. 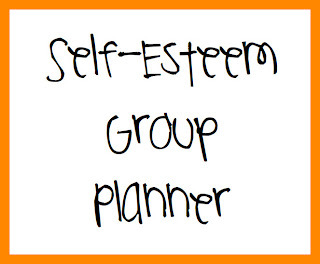 Feel free to print and share the Self-Esteem Group Planner with other school counselors! 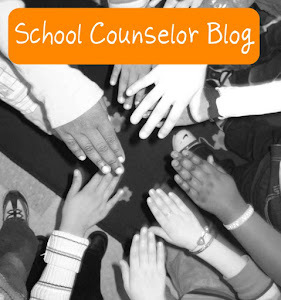 What group session planners would you like me to create and share on School Counselor Blog? For the winter season, my Aunt Polly's church wanted to do a community service project with the children in Sunday school. I was very humbled to find out that my aunt thought of my students and wanted to do a project to benefit them. The Sunday school students collected hats and gloves to donate to my school. I received a huge bag of new hats and gloves to give to students in need! I made the card below as a heartfelt thank you for my Aunt Polly and her church for supporting my students! I hope this card means as much to them as the hats and gloves meant to my students and me! To make the card I took pictures of students' hands wearing the gloves that they received. I also took a picture of one of the hats. I was trying to think of a good message to write and I thought of "Thank you for your kindness! You warmed our heads, our hands, and OUR HEARTS!" I wanted to share this with you in case you received any donations and would like an idea for a cute message to send as a thank you! Does your school ever receive donations from churches or other groups? 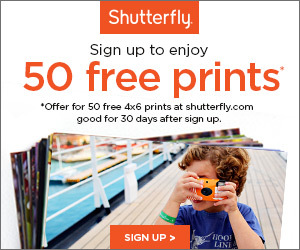 Have you ever used Shutterfly to create cards or other products for your school? February's #SCCHAT was held on February 7, 2012 at 8pmEST. We chatted about Tech Savvy School Counselor Essentials. School Counselors shared tons of great ideas and resources, including time-saving technology tools! Check out the full chat transcript! The next School Counselor Tweet Chat is on March 6 at 8pmEST. Natalie Spencer will be moderating the chat about Group Ideas and Group Challenges! This week is National School Counseling Week! 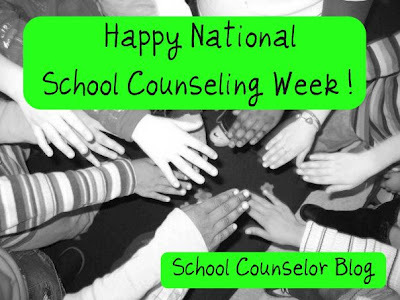 First of all I want to wish you a heartfelt Happy National School Counseling Week to you! I have been so fortunate to connect with you through this blog and through various forms of social media. I am thankful for you and I want you to know that you are appreciated this week and everyday! I believe the purpose of National School Counseling Week is to advocate for our profession and to educate stakeholders about how we impact the lives of students! Even if no one in your building/district thanks you for the work that you do or recognizes you this week, make a pledge to yourself and our profession to educate others this week about school counseling. Share with your stakeholders how what you do makes a difference in the lives of students. Whether you read a message on the morning announcements (ASCA has prepared announcements that are ready to go!) or put messages in teachers' mailboxes about ways you support students, a little effort can make a big impact. What is one thing you will do this week to educate stakeholders and advocate for school counseling? School Counselor Tweet Chat is Tuesday, February 7, 2012 at 8pmEST! 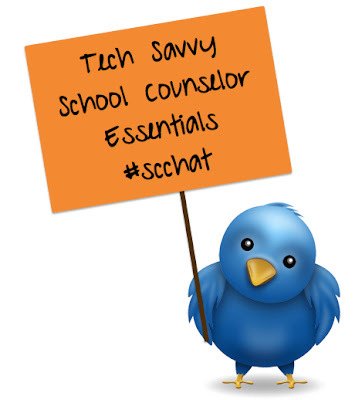 The topic of School Counselor Tweet Chat this month is Tech Savvy School Counselor Essentials. I am so excited to be moderating the chat this month! 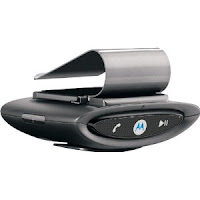 We will be tweeting about our favorite technology tools and how to utilize them as a professional school counselor!